The subject of the next miniseries event from HBO and Playtone partners Tom Hanks and Gary Goatzman hits close to home, as HBO has acquired the rights to The Wright Brothers, the new book by David McCullough that tells the story of Orville and Wilbur Wright and their historic 1903 first flight on the Outer Banks, North Carolina. McCullough’s book will be released this Tuesday, May 5 (order your copy online here), and you can watch the two-time Pulitzer Prize winning author discuss the Wright Brothers, as well as their sister Katherine, right now in two promo videos you can check out the players below, and then read on to learn more! David McCullough has twice received the Pulitzer Prize, for Truman and John Adams, and twice received the National Book Award, for The Path Between the Seas and Mornings on Horseback. His other widely acclaimed books are 1776, The Greater Journey, Brave Companions, The Great Bridge, and The Johnstown Flood. All told, there are more than 10 million of his books in print. He is the recipient of numerous awards and honors, including the National Book Foundation Distinguished Contribution to American Letters Award, the Francis Parkman Prize, the “Los Angeles Times Book Award,” the National Humanities Medal, and the Presidential Medal of Freedom, the nation’s highest civilian award. McCullough has also been elected to the American Academy of Arts and Sciences, as well as the American Academy of Arts and Letters, and has received more than 40 honorary degrees. A native of Pittsburgh and graduate of Yale, he now resides in the Boston area. Tom Hanks’ production company Playtone also executive produced the HBO miniseries events Band of Brothers, The Pacific, From The Earth To The Moon, and John Adams, another true story that was filmed on location in Virginia and was based on McCullough’s book of the same name. While there is no word yet on when production will begin, it is (unfortunately) unlikely that the Wright project will be filmed in North Carolina unless the state’s film incentive program is reinstated, as the current $10 million film grant is all spoken for this year, with funds already committed to be going to Under the Dome in Wilmington, a rumored Dirty Dancing remake in Lake Lure, and an independent film in the Charlotte area. Most likely, the production will be filmed in Virginia (where Hanks produced John Adams for HBO and where the actor also worked on Captain Phillips) or Georgia, but that doesn’t mean that a few days couldn’t be spent shooting a few pivotal scenes on the site where the events of the first flight actually happened here on the Outer Banks. Stay tuned to OBXentertainment.com for complete coverage of this HBO miniseries event as more news and updates become available! How would you like to see a major HBO production filming locally on the Outer Banks? Who would you cast as Orville and Wilbur Wright? Let us hear your thoughts in the comments! 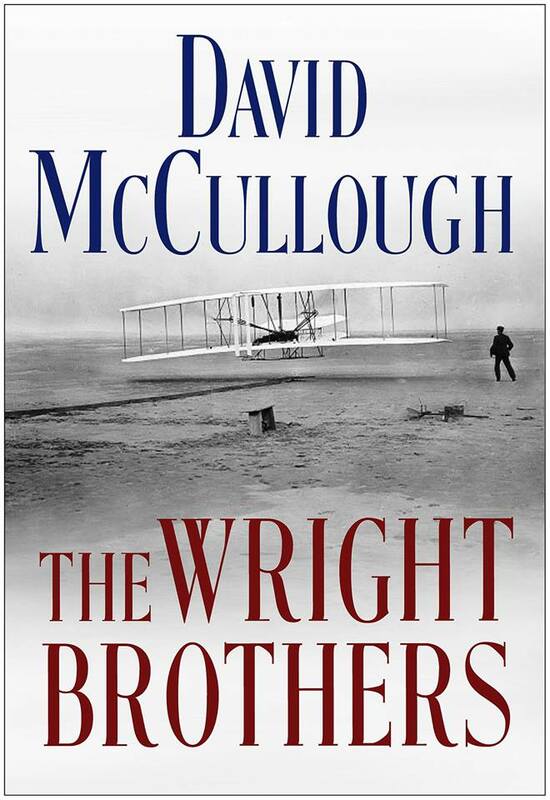 ‘The Wright Brothers’ by David McCullough will be made into an HBO miniseries produced by Tom Hanks.